Noemi Martinez is a writer, poet-curandera and media myth maker with Mexican and Caribbean roots living in the militarized borderland of deep South Texas, birthplace of Gloria Anzaldúa. She is a radical single mami with punk tendencies. Martinez is a long time zinester, starting her first zine, Making of a Chicana in 2000 and Hermana, Resist in 2001. She has also written the zines Aged Noise, Homespun and Sofrito Pa’ Ti. She edited the collections Voces, MAIZ and was co-editor of the collection For Colored Girls. She creates workshops and distros and has been a part of larger collaborative networks to share independent media and activism. She founded and directed two community groups, CAFE Revolucion and Voices Against Violence. She is a cofounder of the Gloria Anzaldúa Legacy Project. Noemi ran a distro for zines and work created by women and people of color (Chicana Stuff then later named C/S Distro). She was involved in the Allied Media Conference, in the years that they first started having child care on site. She was also a presenter on zines and media and women of color created media. As part of SPEAK! a group of radical women of color comprised of mujeres from different states, they created zines, curriculum and a spoken word CD. Some of her poems can be found in ¡Ban This! The BSP Anthology of [email protected] Literature and essays in the following collections: Don’t Leave Your Friends Behind: Concrete Ways to Support Families in Social Justice Movements, Communities, Labor Pains and Birth Stories: Essays on Pregnancy, Childbirth and Becoming a Parent and Just Like a Girl: A Manifesta! Recently her poems and photos have been published in Make/Shift, Hip Mama, Xicana Chronicles, Pentimento: Journal of All Things Disability, The Perch and *82 Review. She has an undergraduate degree from the University of Texas-El Paso and a Master’s degree in writing and history. Jonathan River Martinez-Hernandez is an aspiring teen photographer from South Texas. Mama Sana Vibrant Woman, A Project of Mamas of Color Rising, is a collective of working class and poor mothers of color based in and around Austin, TX. We are interested in organizing ourselves and other women/mamas of color around issues with accessing needs like food, housing, education and safety, finding out together what our larger ideal community looks like and building it together. We are living in a world where the labor of caretaking is INVISIBLE socially and economically. It’s no surprise that most of the world’s poor people are mothers and their children. Imagine all the hours of UNWAGED work that is not counted in the Gross Domestic Product (GDP). The GDP would almost double if unwaged domestic work were counted. Working class mothers, particularly single parents and women of color are caught in low-wage work that barely provides enough income to cover childcare, much less other basic rights. And the Welfare “social safety net” scrutinizes and polices poor mothers instead of providing support to all families and recognition that “mothering” is work. In this country, most interactions with social services and institutions have become a WEB of discrimination and humiliation, a WEB difficult to get out of. Our vision of organizing around motherhood is not a biological one, it’s not just about bio moms, or even moms, but about all of those members of a community who share in the often undervalued and invisible work of caretaking and parenting. But it’s not just symbolic either, because unfortunately right now its mothers and other women who do the vast majority of the work of taking care of children, elders, and sick folks who cannot take care of themselves. As Mamas of Color Rising, we want to bring out these issues to public conversation and struggle. We see this work as a way to challenge the patriarchal and isolating model of nuclear family units AND as a way of creating social justice for everyone because a society is only as good/strong/just, as how it treats its children and elders. We are currently documenting stories of welfare abuse (from Medicaid, to Subsidized Childcare, to Child Protective Services, to Birthing while Low-Income). 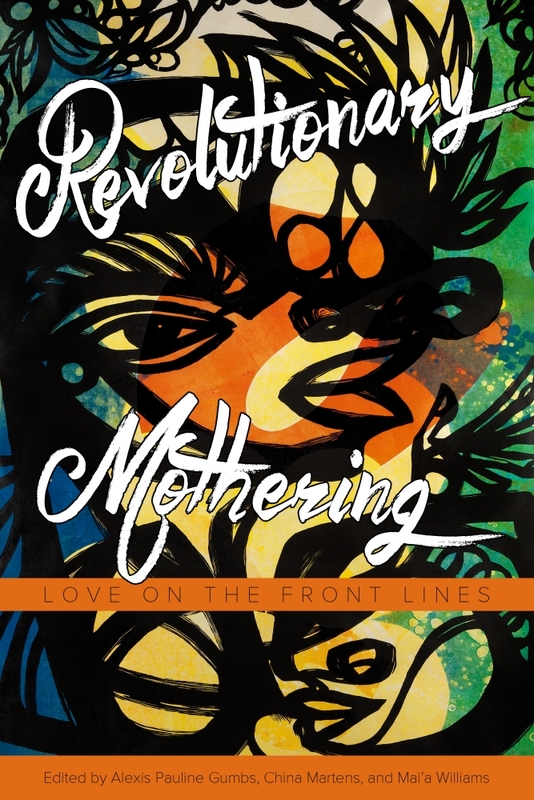 Check out our zine, Revolutionary Motherhood, which we wrote in collaboration with Young Women United. With the Revolutionary Mamas of Color National Survey we will continue to gather and document these stories in order to build our local membership base and identify a local organizing campaign. Mama Sana is a pilot project seeking to support the individual and collective empowerment of low-income mothers of color while also improving pregnancy and birth outcomes for communities of color in Austin. tk karakashian tunchez is artist, organizer, single m/other, multi-media maker, truth-teller, personal and organizational capacity builder and transformative justice worker. As well as a book contributor she will be tabling with Las Ofrendas—unique, organic based artisan pieces to adorn your mind, body and soul. Always handmade with love and good intention. “Las Ofrendas” are Spirit-Infused, hand-crafted, wearable art pieces to adorn your mind, body, and soul!